An atmospheric restaurant well situated at the start of Peascod Street as you head into town. 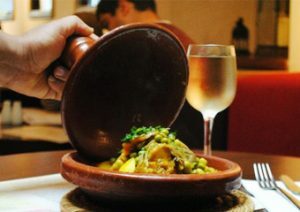 Meimo is a fusion of Moroccan and Mediterranean cuisine with some interesting flavoursome dishes. 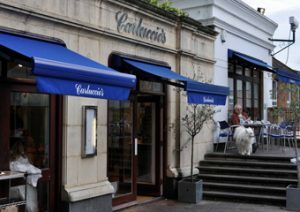 A real treat for lunchtime or dinner – outdoor seating is great for people-watching in Summer. In Winter enjoy the exotic flavours of a warming lamb or chicken tagine. 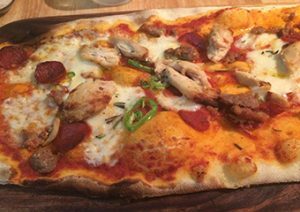 The staff are friendly and helpful and the food is reasonably priced – give it a go – ask for Abdul and you’ll be looked after. This Moroccan Restaurant in Windsor is a real treat. Tell them Royal-Windsor sent you! 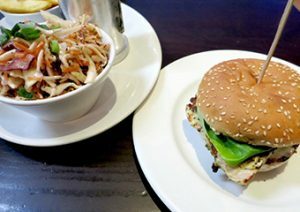 Bills restaurant in Windsor Royal Station is a great place for breakfast, lunch or dinner. 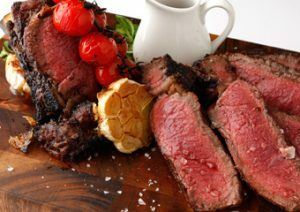 With seating inside or outside (under cover of the shopping centre) it has juicy steaks, pan fried sea bass and some indulgent pies! Great for families, meeting friends or for a special date! 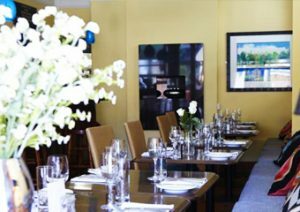 For a special occasion, a light snack or just when you fancy some freshly cooked and very interesting food, then you must try the Greene Oak. This is a welcoming restaurant with friendly staff who are willing to go the extra mile. 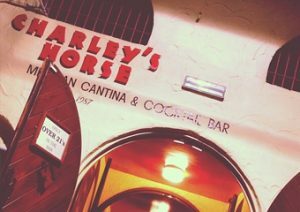 This place always has a great atmosphere which makes for an excellent night. A perfect example of the new breed of gastro-pub. The main menu and daily specials are a blend of classic British and modern European dishes. This is a country pub not in a town centre location and as such tends to be frequented by a lovely clientele of local people. 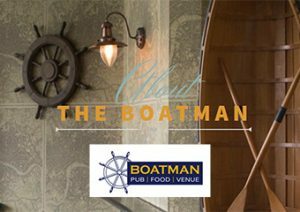 Gastro Pub meets fine dining – this is a special place for a real treat. 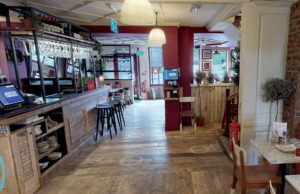 Whether lunchtime or evening, the Two Brewers makes an excellent venue for food and drinks. With a self-confessed grumpy landlord but pleasant and helpful staff, this traditional pub is a delight. Roaring fires in the winter and charming outdoor seating when weather permits. 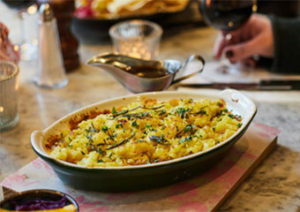 It’s dog-friendly, with tasty food, loved by locals and visitors alike… try the seafood gratin – it’s delish! 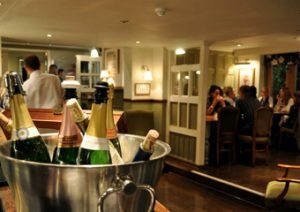 The pub is small and popular so book ahead to guarantee a table. 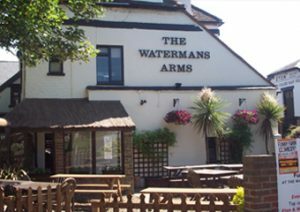 One of the only riverside pubs in Windsor, it is always packed in the warm summer evenings. Great food and a lovely atmosphere. Very attentive service, comfortable seating. 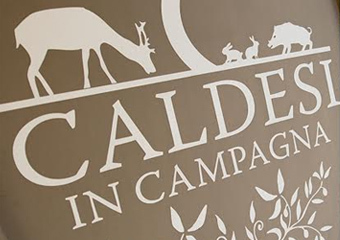 You may wish to book ahead on weekends and when there are events happening in the town. This place is popular and deservedly so. Food is good, service is great and on a warm summer night it can be just heavenly sitting out on the decking area. The popular YO! Sushi franchise has just opened in Daniels department store. It’s great fun! 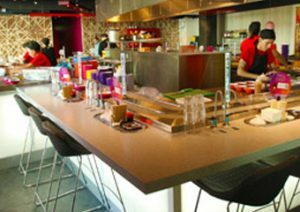 Food travels past you on a conveyor belt and you can help yourself to whatever you fancy – perfect for a speedy lunch. If you have a bit more time you can press your button to call over waiting staff and they’ll take orders for hot dishes / drinks etc. 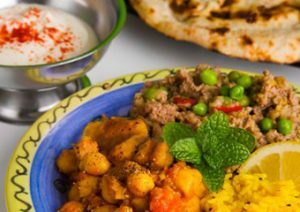 The food is vibrant and exciting, served in small portions on colour-coded plates – beware there is a real danger of over-eating as everything looks so good and it’s really easy to pick off those little dishes! They can add up too – but you can comfortably budget £15 per person. Décor is fun and colourful and the location is superb for people-watching. 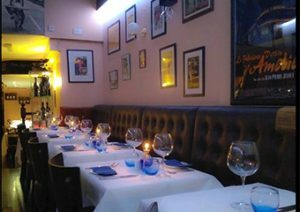 A fine dining Italian restaurant tucked away in the Berkshire town of Bray. This fabulous restaurant has a cosy outdoor herb garden. Food is freshly cooked and there are Tuscan and Sicilian specialities. 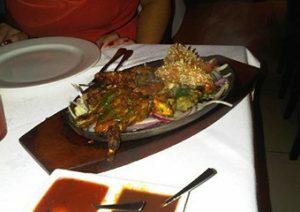 There is a special atmosphere in this restaurant – the staff are attentive and humorous and know their food. It is not cheap but you get great food in a delightful setting and the owner runs a cookery school there too! Perfect for business lunches, romantic meals for two or groups. A La Russe is a small french bistro with tasty food and lovely service. Windsor wouldn’t be the same without Bella, so our Bella from 30 Thames Street is relocating to a new home in the Royal Shopping, the glass-covered Victorian station. Your Bella Windsor team is looking forward to welcoming you in the new restaurant soon! 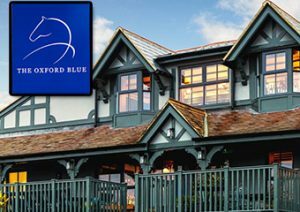 You can pop-in for your Saturday night dinners or breakfast before heading to the Castle, a walk down the river or when you plan the day out to watch the races and the team will look after you just as well as they did on Thames Street and cook up all your favourite Italian treats. 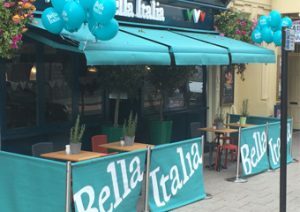 We love to entertain, Italian style, so big parties as well as small groups are always welcome. 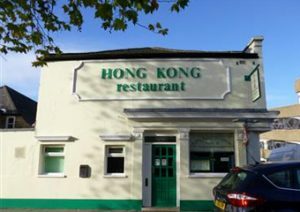 Extremely popular local Chinese, consistently good quality food at a reasonable price. Great for takeaways or eat-in. Worth trying to find this place as it is not on the main High Street. Friendly staff and owners. Great atmosphere. On the corner of the Windsor – Eton Bridge. Great food, nice homely decor (wood floors and tables) fairly expensive though. Service can be a little brash on occasion. Home cooked food in a great location. We had the pleasure of being invited to eat here when the place first opened. When you first walk in the decor grabs you – they have a great atmosphere. 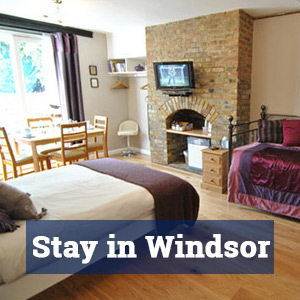 Situated in the heart of Windsor – opposite the Castle. Great tapas food – well cooked and very tasty. Good fun servers – a lively place for a fun night out! The usual high standard of French cuisine from Café Rouge. 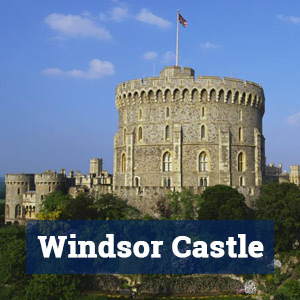 Town centre location just a short stroll from Windsor Castle situated in Windsor Royal Station shopping area. Bustling atmosphere, family-friendly. An old favourite. On a par with the Waterside Inn, but slightly less expensive. Highly recommended for that extra special occasion. An amazing wine list with an exceptional amount of wines available by the glass. 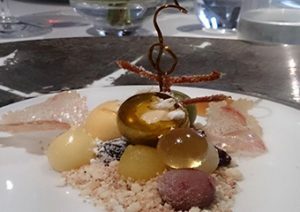 This is the famous Heston Blumenthal restaurant – be prepared for some odd dishes and a hefty price-tag! 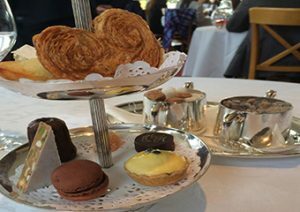 Located 2 minutes from the castle, EAT offers just what’s needed to perk you up. 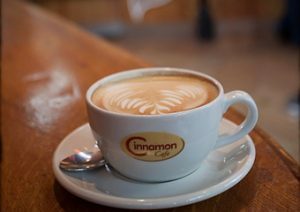 A great place to meet friends for coffee or just to grab something to go. Somewhere lively, bright and breezy was exactly what that spot needed – taking advantage of its size, the fantastic views over the river, and an ideal meeting point. 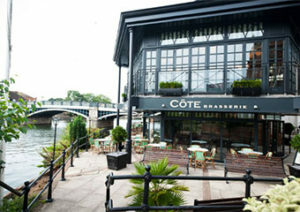 In Summer the fabulous decked patio overlooking the river thames is the perfect spot for people watching, swan gazing or just plain relaxing with great food and ambience. 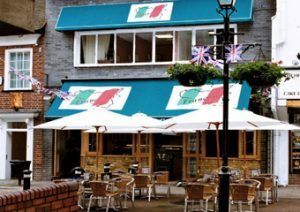 Our favourite family restaurant – very reasonable freshly cooked Italian food (Pizzas, Pastas and good main courses) child-friendly. Great location just at the foot of Peascod Street leading into the town. The manager, Abdul, is really friendly and has been there for years! A relatively new addition to Windsor is Creme Restaurant on Peascod Street – so far the service and food has been amazing – they like to bend over backwards to get you what you want at an affordable price too – a refreshing change to some of the tourist traps in Windsor. Let’s hope they keep up the positive spirit and keep giving great food, great service and all with a smile too. Well done Creme! 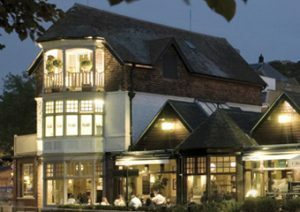 Open 7 days a week for breakfast, lunch and dinner, The Tower Bar & Brasserie boasts a truly quintessential British menu. Enjoy simple and seasonal British classics with our newly appointed Head Chef Rob Grandison adding his own selections daily, all supporting our philosophy of using the finest and freshest local produce, cooked simply, priced sensibly. 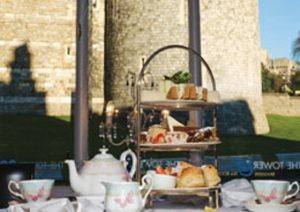 With the breathtaking views of Windsor Castle and individual service – you have a truly memorable dining experience. 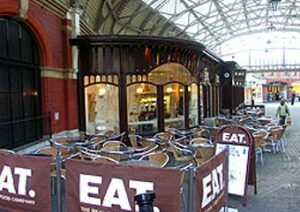 A popular lunch-time haunt inside Windsor Royal Station, Cinnamon Cafe offers a pit-stop from the sight-seeing in Windsor. Basic snack / lunchtime food, well prepared and served. Jacket Potatoes, doorstop sandwiches – all fresh and well prepared. 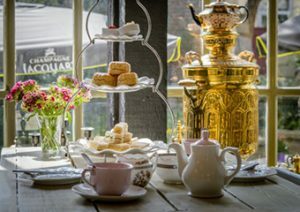 New Brasserie and tea Room serving English Tea and Scones (Cream Teas) along with traditional Italian Pastas and Pizzas. 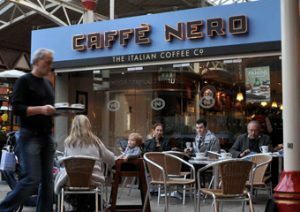 A lively Italian coffee bar inside Windsor Royal Station shopping area, with such a varied menu there is something to suit everyone. 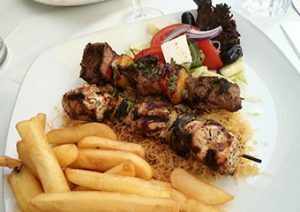 Established since 1987, Latino Taverna is a friendly, family-run Greek restaurant set on a picturesque cobbled street in the most historic part of Windsor. This fun restaurant regularly holds party nights with live music and plenty of dancing and plate smashing. Great food, party atmosphere at weekends. 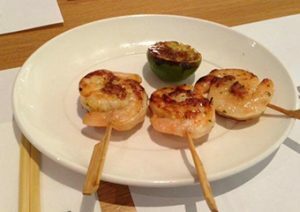 Wagamama noodle bars offers delicious, freshly prepared noodle and rice dishes. The restaurants are modern and light with bench seating and long shared tables. Located at the entrance to Windsor Royal Station shopping centre, this place is worth a visit. 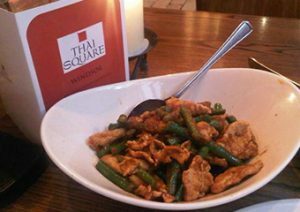 Very good Thai food, often has lunch specials. 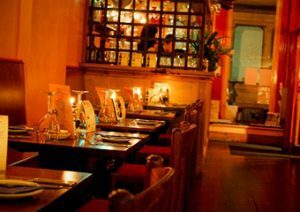 Atmospheric restaurant – a lively evening on a Friday or Saturday night usually. Expensive but with such a reputation it is difficult to beat, except by the Fat Duck perhaps? The cooking is unashamedly French. Alain Roux leads the brigade of 23 boys and girls who come from all over Europe. English, French, Swedish, Austrian and Germans work under Belgian Head Chef, Fabrice Uhryn. Kitchens are very much like an orchestra. Each chef is dependent on their team to produce the consistent quality for which The Waterside Inn is renowned. 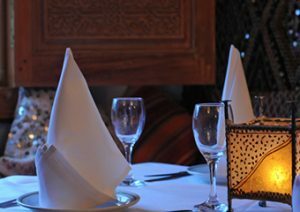 Excellent Moroccan food in a friendly atmosphere. A little expensive, but the food is well worth it. Great town centre location on fashionable St. Leonards Road. This restaurant always gets rave reviews on other sites. 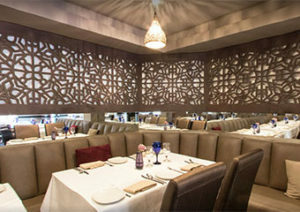 Saffron offers an excellent partnership of traditional and innovative takes on Indian food. They are able to cater for all needs, whether its a small gathering or a corporate event you are interested in, they can help! 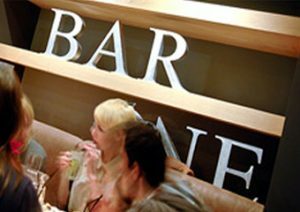 Located in Windsor Royal Station, All Bar One is a great place tocatch up with your friends. Good choice of food and drinks. Lovely restaurant serving well presented English food on Eton High Street. Popular courtyard dining out the back when it is warm. A family run business in a fabulous old building within the shadows of Windsor Castle parts of which date back to 1423. 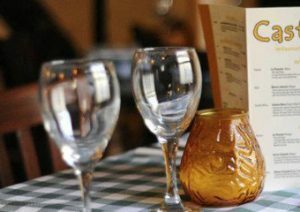 The restaurant is open 7 days a week from 12 noon to 10.30 p.m – serving pasta, pizza, meat, fish and vegetarian dishes and also daily specials. Emphasis has been placed on cooking fresh produce to order using only the finest ingredients. 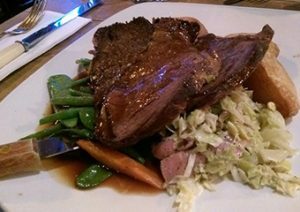 Home cooked food, great Sunday lunches – a traditional pub in the shadows of Windsor Castle, tucked away just over Eton Bridge off the High Street in Eton. 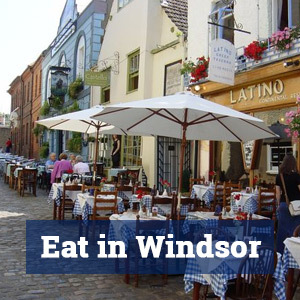 A wonderful cafe in the heart of Windsor, great for a break when shopping! 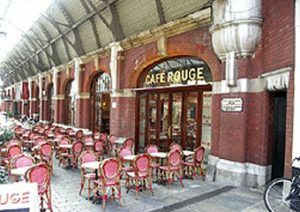 There is a large outside seating area which is perfect in the summer months, enjoy a coffee or a glass of wine along with one of their famous desserts. Italian menu. You can enjoy good food and wine in a great atmosphere – all that for affordable price. It feels classier and nicer than the price and you will always get a warm welcome there. 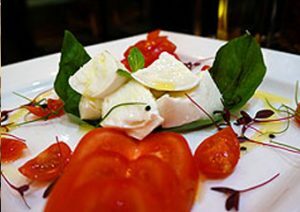 A welcoming and well-run chain of Italian restaurants, service is of the cheerful, smooth variety we have come to love and expect. 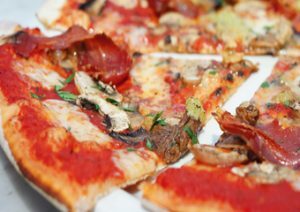 Pizzas, Pastas and a few other main dishes. Located under the arches, this bar/restaurant serves excellent Mexican food and is a good place for some pre-dinner cocktails. Young crowd.